Detectag Inc. is a Canadian company which specializes in designing and manufacturing high quality anti theft / anti-shoplifting equipment as well as other security solutions for the retail loss prevention market. We have been manufacturing EAS (Electronic Article Surveillance) Anti-shoplifting RF (Radio Frequency) systems since 1990 and have been in the security industry since 1983 with the introduction of the first search selector. 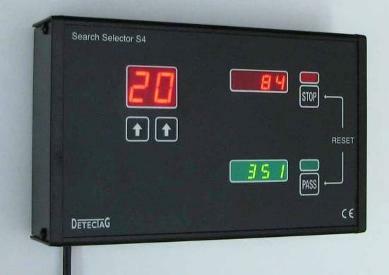 We have then expanded into other areas of security and anti-theft devices such as our loop alarm display security. Since we design and manufacture our products we can also produce custom security solutions or modify our products to meet your loss prevention needs. Please contact us if you have any questions regarding our products and its capabilities. We sell directly to consumers in Canada as well as through distributors around the world. For a distributor close to you please contact us. of our most popular products.